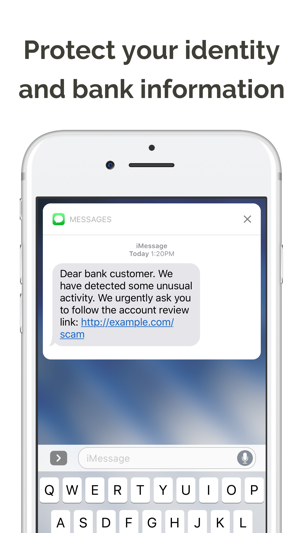 When you receive a SMS text message from someone that is not in your contacts, SMSBarrier will analyze the content of the message to determine if it is spam. Messages that are flagged as spam are sent to your Junk messages folder. SMSBarrier will never delete any message you receive. You can also manually configure a sender blacklist for even more control over the message that are filtered by SMSBarrier. 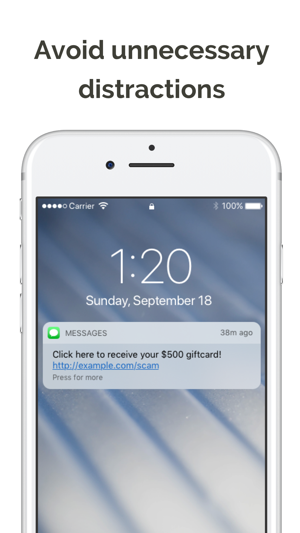 SMS scams can cost unsuspecting users thousands of dollars and countless hours of grief. 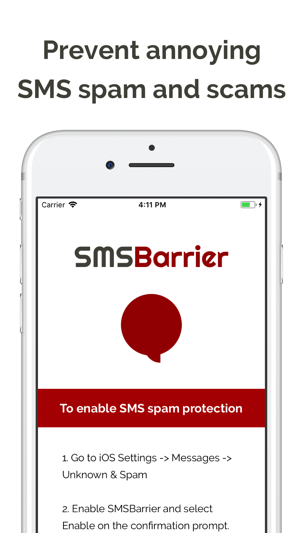 Protect yourself from SMS spam and scams with SMSBarrier. 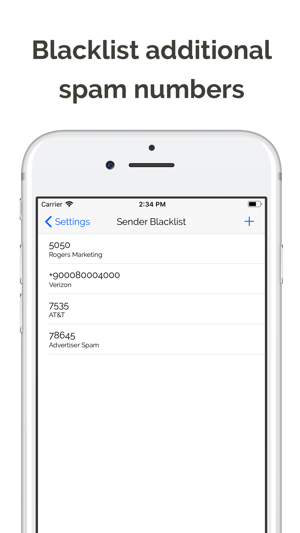 Version 1.1.0 of SMSBarrier adds the ability to configure a sender blacklist for even more control over the messages you receive. If you enjoy using SMSBarrier, please consider leaving a five star review. © 2017 Black Tusk Software Inc.